I left our adventures in Prague. After our 4 nights in a (hopefully snowy) and beautiful Prague, to round out 2015, we are heading on New Years Eve to Austria. The next two weeks of our trip will take us through Germany and Austria and will no doubt involve snow, sausages and schnitzel! We are planning and early departure from Prague so we can be in Vienna by late morning. 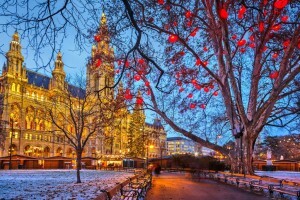 Vienna holds New Year’s celebrations in the city square from 2pm. With our kids not being fond of staying up late (or more accurately, us not being fans of them being up late), we weren’t planning on being up until midnight, so an afternoon of fair rides, ice skating and fireworks are right up our alley. 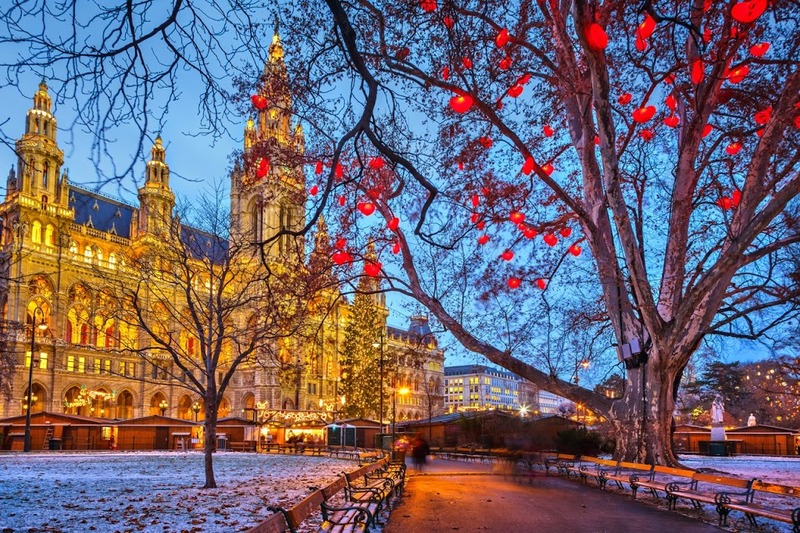 Once it’s officially 2016 we will have plenty to keep us busy in Vienna. Plenty of wandering the old town where there are yet more pretty museum, churches, opera houses and palaces and free ice skating rinks to keep us amused. We are hoping to get to Schoennbrunn Palace and gardens, and if not ‘palaced out’ Hofburg and Belvedere Palace and Gardens. Schoennbrunn is definitely a must do, and there is even a zoo in the grounds of Palace, so that might placate the kids! Vienna also has an Imperial Butterfly House (probably the only place above zero degrees) and plenty of good parks to check out if they aren’t entirely covered in snow. We are also planning on spending plenty of time warming up with coffee in the many coffee houses. I’m sure there will be cake too! We have 4 days in Vienna, but we will be using one of these for a day trip to Bratislava in Slovakia. I love the fact that in Europe you can just pop over to another country for a day! When it’s not snowy and Wintery you can take the hydrofoil from Vienna to Bratislava. Unfortunately, that isn’t an option over Winter so we will have to make do with the regular train. It’s an hour each way on the train, so an easy day trip. Bratislava has yet another pretty old town to walk around, with more palaces, churches and fountains. There is also a blue church I might have to go find and take a photo of. Aside from walking around the old town and wandering down by the Danube, we will be checking out the Slovakian food. Bratislava has the UFO building that not only looks cool but has an observation deck that offers great views of the city, I’m sure a photo or two might happen there! If we aren’t already sick of cold and snow, there should be plenty in our next destination! 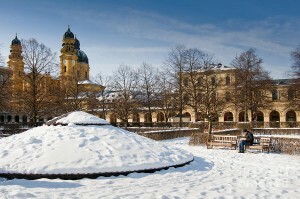 Salzburg in Winter has been on my list for awhile, so I’m hoping it doesn’t disappoint. Lovely old buildings, surrounded by huge mountains and lots of snow should keep us all happy. We have 4 days in Salzburg but a lot on the schedule. Salzburg is the start of our cable car and funicular festival. There will be quite a few options for ascending to great heights over the next few weeks of travel. Just around Salzburg you can catch the lift up to Monchsberg (where there is a fortress) and have views back over the city. You can also catch a funicular up to the fortress or a cable car up to Untersberg, which should also be good for views over Salzburg. We are also hoping to keep the kids happy with a horse drawn carriage ride around Salzburg. When we were in Bruges, Belgium Astrid went crazy with the excitement of horse-drawn carriages clip-clopping through the streets. We didn’t quite get around to getting her a ride, but Salzburg in the snow might just make up for that! The area around Salzburg also has some amazing things to do. Plenty of winter sports like skiing, snowboarding and tobogganing and lots of beautiful scenery and towns to explore. There are also several salt mines in the area, so a visit is on the cards. Weather and kids enthusiasm dependent, we are hoping to do an excursion to the near-by town of St Gilgen, which is a very pretty alpine town and has the impressive Wolferhorn mountain cable car. We are also planning a trip over the border to Berchtesgaden in Germany, another pretty town, and the home to the Eagle’s Nest (which is sadly closed over Winter due to snow making it inaccessible). 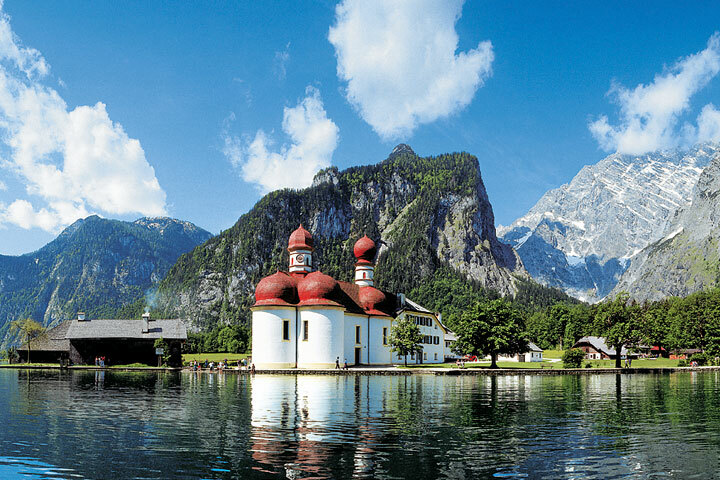 Instead of the Eagle’s Nest we will check out the town of Berchtesgaden and take a boat trip on the Konigssee, a clear and deep lake surrounded by mountains. The lake is only accessible by boat in Winter but there are some short and scenic walks you can do around the lake between boat drop-off and pick-up points. After our 4 nights in Salzburg we will head back into Germany to nearby Munich. We will definitely not be in Munich in time for it’s most famous attraction, Oktoberfest, but we will be sure to check out at least one or two of the well regarded biergartens. We have 2 days in Munich and will mostly use our time to wander the old town and Marienplatz and check out the notable palaces and gardens of ; Shloss Nymphenburg, the Residenz, Hofgarten Park and the Englischer Garten. There are also supposed to be some very good open-air markets should we be needing more cheeses and sausages! Our original itinerary had us heading from Munich to other towns in Bavaria, like Nuremberg, Rothenburg and Bamberg. As much as I love walking around beautiful old towns and finding interesting places to eat and taking countless photos, we decided that 4 weeks into our trip we might be totally over walking around old buildings, palaces and castles in the snow. So we shelved plans to visit the Nuremberg area on this trip and decided to use the time later in the trip for more time in the Austrian and Swiss Alps. So you know how I just said we might be a bit over castles? Well, there was one castle we couldn’t miss. Neuwachstein Castle, in the village of Hohenschwangau. Neuwachstein is the castle the Disneyland castle in modelled on. If we are going to look at castles (in the snow) then this one is it. We are heading South back towards Austria and the town of Fussen. Fussen is the end point for the train, but also a pretty town with lots of painted buildings for us to explore. 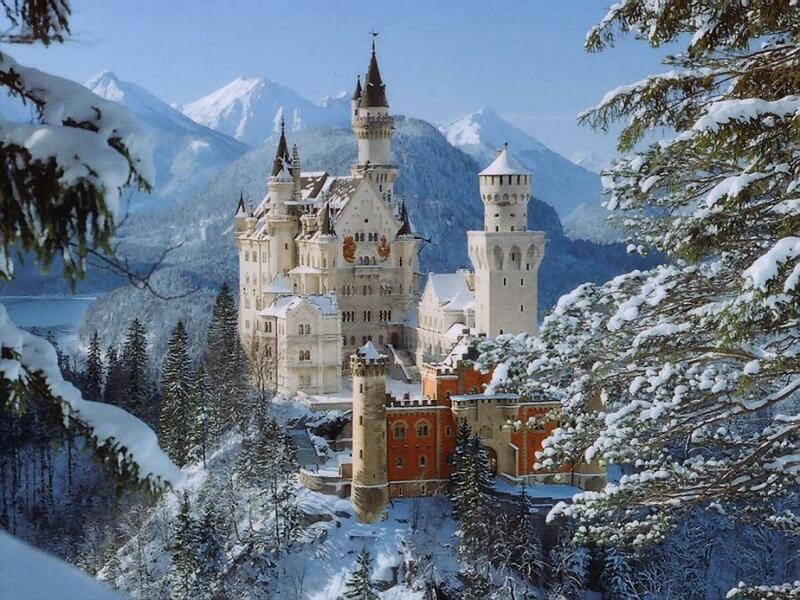 It’s then a short bus to the village of Hohenschwangau where Neuwachstein Castle is located. Hohenschwangau also has another smaller castle that is worth checking out if we have the time. The big deal though is Neuwachstein. It’s quite a walk up to castle from the village and in Summer they run buses. In Winter though you either walk or take a horse-drawn carriage. We are planning a castle tour and a walk around the nearby Lake Alpsee and a walk over Marienbruecke for more great views of the castle. After we’ve had our castle fix and explored the village and Fussen, we are heading through the Alps towards the town of Garmisch-Partenkirchen, where we will stay the night. It’s a former host of the Winter Olympics and a ski base, a pretty town, and also a good stopping off point before a very scenic alpine train trip the following day. The next morning before departing Garmisch-Partenkirchen we are hoping to take a walk through Partnach Gorge, which contains many waterfalls that freeze over Winter leaving amazing ice sculptures. 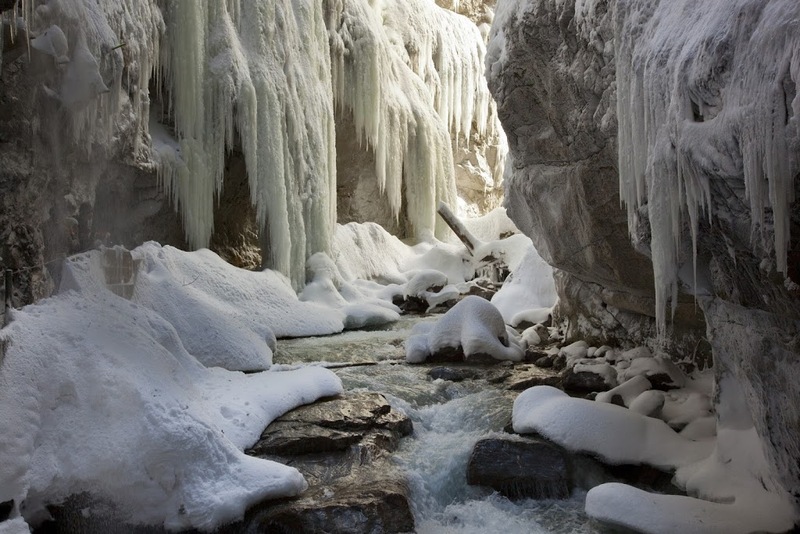 When shown pictures of Partnach Gorge in Winter, Miss Astrid declared that it was suitably ‘enough like Frozen and she definitely needs to go there’. The train trip from Garmisch-Partenkirchen through to Innsbruck in Austria is one of the most scenic in Europe as it winds through the Alps on the German/Austrian border. 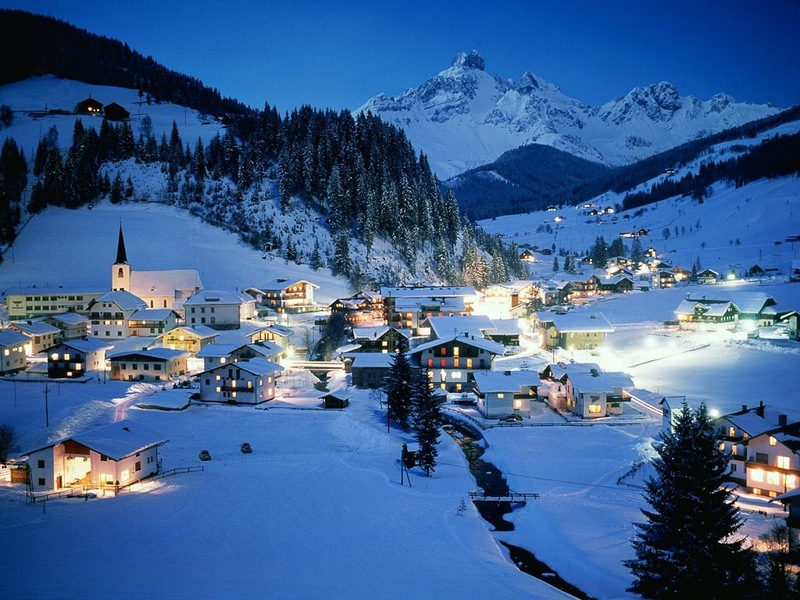 Weather and energy level dependant we are hoping to stop off in Mittenwald (Germany) and/or Seefeld (Austria) which are both cute little alpine villages and offer a range of Winter activities and more sightseeing via funicular. After our hopefully scenic trip up to Innsbruck, we have 3 nights and almost 3 days to explore the area and keep ourselves busy with lots of snow based activities. 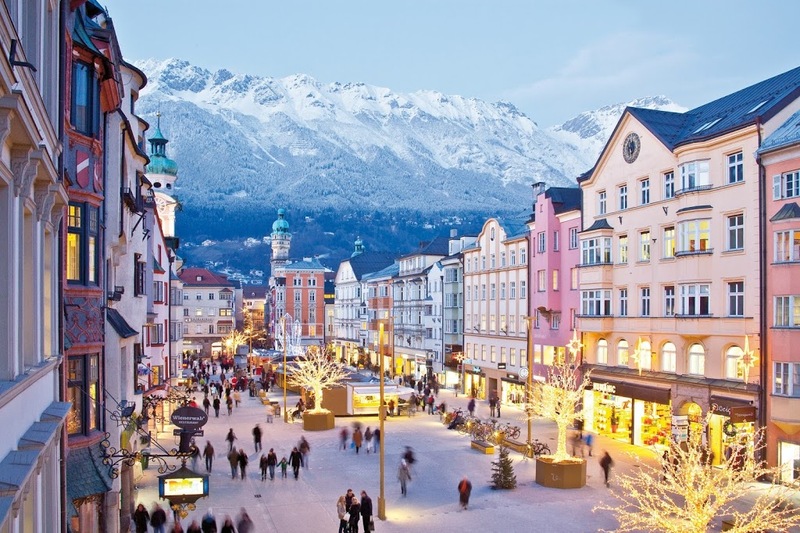 Innsbruck has hosted the Winter Olympics twice and is a great base for all Winter sports. It’s also a very nice town, surrounded by huge mountains. The old town of Innsbruck has a suitable array of pretty buildings set beside a river to keep my camera busy. It’s famous for the Goldenes Daschl (gold roofed building) but also has an amazing Swarovski crystal shop that is worth checking out for the impressive crystal sculptures. Being surrounded by mountains there is no shortage of high things for us to explore. Mostly by funicular and cable car. We are going to take the Nordkettenbahnen from Innsbruck at 560m up through Hungerburg – where there an alpine zoo which the kids will no doubt love, through Seegrube to Hafelaker at 2256m. That is a lot of altitude! It should make for a scenic ride and there are some family friendly walks to do once we get to the top. Being a Winter sports haven, there is the Olympic ski jump stadium, Bergisel, in Innsbruck. We’ve always wanted to see a ski jump up close so we are going to pay it a visit. Hopefully we can time it with some jumpers using the facility to see it in action. Despite being a ski base, we aren’t planning any skiing. We are hoping though to get some time for tobogganing/sledding. 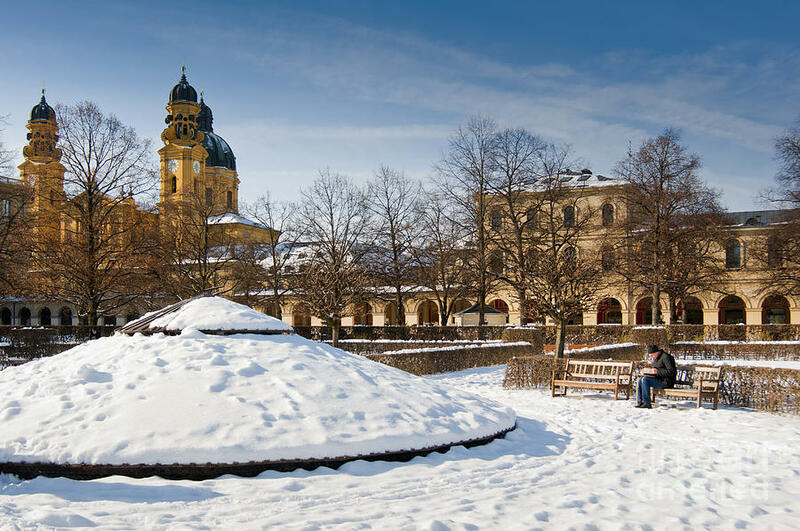 There are a heap of runs in and around Innsbruck and we think we know some kids (and adults) who are looking forward to some fun in the snow. Posted in Europe, itinerary, Travel, travel planning, travelling with kids, WinterBookmark the permalink.